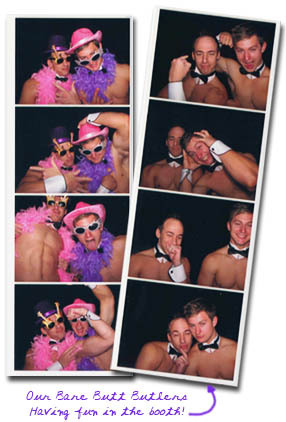 Our totally portable photobooth creates fun, excitement and instant memories for all occasions – Bachelorette Parties, Weddings, Corporate functions, Birthdays and Reunions etc. 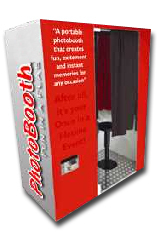 At the press of a button, the photobooth takes and prints a duplicate set of high quality digital photos in seconds. Your guests take these photos home as a unique memento and keepsake of your special function. Requires 2 x 2 meters of space and a power outlet. 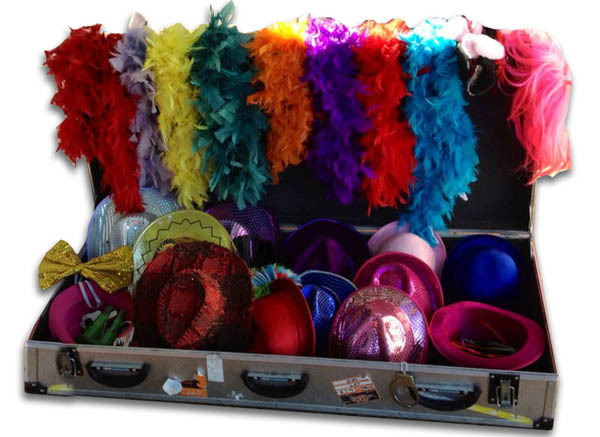 Included in our Party Packages are: Set-Up and dismantling of booth. Unlimited photos – printed in duplicate within 15 seconds. Use of all our fun props. Experienced operator for the duration of your event. DVD for the host of all the photos from the function. An additional fee with be charged for areas outside of JHB.